Qigong Warm-Up: Join me for 45 minutes of qigong to get your day moving. We will be working with energy as we enliven our senses using breathe, visualization, and body movements. Qigong helps to ground you and bring balance to the body-mind. Our time together will have an adult focus though children are welcome if accompanied by an adult. Qigong is a gentle, but powerful form of exercise. It originated thousands of years ago in China, and includes the wisdom of the body’s energy pathways. The exercises, or movements are done while standing. We will begin with connecting to the earth, then we’ll do some movements to cleanse and enliven ourselves. The series of movements that follow aim to nourish and nurture your organs. We finish with an exercise to cultivate new energy. Tai Chi is a more familiar form of Qigong that some of you may know. 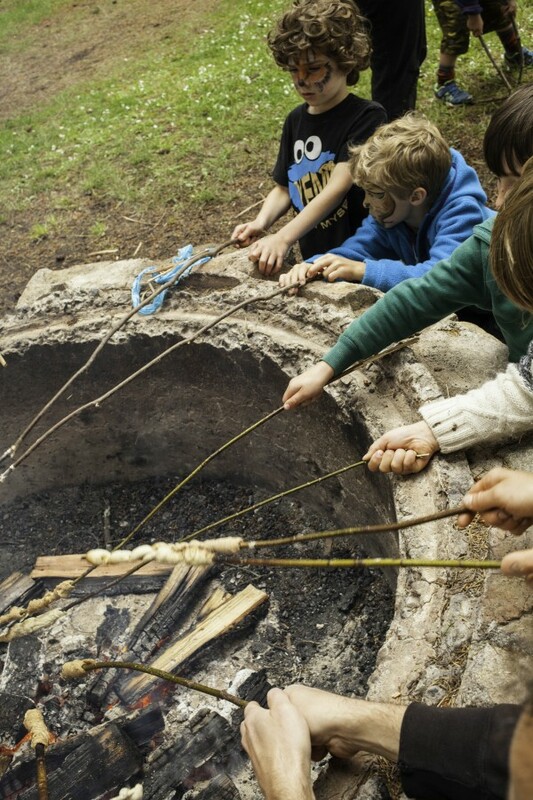 Available space is for unlimited forest friends and beach buddies (parents/guardians are required to attend) and 1 educator (Hand-In-Hand Early Years Nature Education Program, Comox – Wendy Poole). There is no registration for this playshop…all are welcome! PLAYSHOP #1 (Saturday, June 15th, 9:30am – 10:30am) THIS PLAYSHOP IS FULL! Berry Painting: Learn to enjoy the natural colours that nature provides. A hands-on finger painting experience that your child will never forget. Available space is for 10 forest friends (parents/guardians of the registered children are welcome to attend) and 2 educators (Highland Secondary Eco Team, Comox). THIS PLAYSHOP IS FULL! Birds and Their Stories: Join us for an hour of birding, building and storytelling. What better way to learn about birds than to be one? In this playshop, children will have the opportunity to learn about local birds and their habitats with hands on nest building, storytelling and role play activities. Available space is for 10 forest friends (parents/guardians of the registered children are welcome to attend) and 2 educators (Muddy Boot Prints, East Vancouver – Sarah Eakins & Pat McGinness). THIS PLAYSHOP IS FULL! Let’s Explore Seaweeds: We will explore our wonderful coastline. Using our nature science to observe, wonder, and identify some of the rich seaweeds found in our waters. Activities will include a scavenger hunt, art activity, and beach side miso soup cook out (includes soy and gluten…if this is a problem just let me know and I will supply an alternative seaweed treat for your child). Available space is for 15 forest friends (parents/guardians of the registered children are welcome to attend) and 1 educator (Courtenay – Tomiko Collins). THIS PLAYSHOP IS FULL! Salmon vs. Seals and the Salt Marsh Secret: Participants learn about an important kind of salmon habitat called salt marsh. Actual plants we find on the beach will provide the basis for recreating our own salt marsh habitat. We then place the salt marsh along a make shift water body (blue tarp) and play a tag game called salmon vs. seals. Through the game we see how salmon use salt marsh as a secret weapon to escape from seals. The game will show how important salt marsh is along areas such as Kus-kus-sum. Available space is for 16 forest friends (parents/guardians of the registered children are welcome to attend) and 1 educator (Comox Valley Project Watershed Society, Courtenay – Caila Holbrook). THIS PLAYSHOP IS FULL! Volcanic Eruption! : For this playshop we will build a volcano out of sand. We will then use the magic of science to erupt the volcano! Available space is for 20 forest friends (parents/guardians of the registered children are welcome to attend) and 1 educator (Tofino Nature Kids, Tofino – Heather Fleming). THIS PLAYSHOP IS FULL! 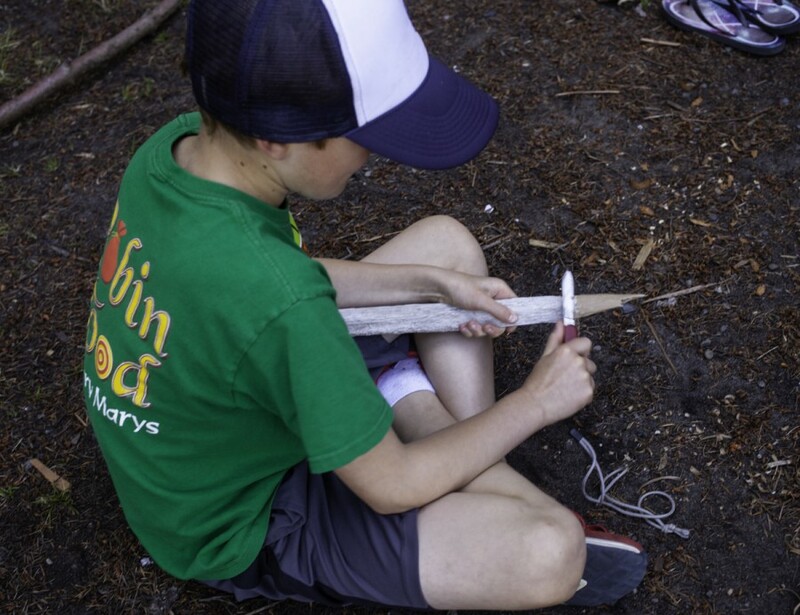 Wild Cordage, and Nets: We will make rope from wild plants and learn to make fishnets. Available space is for 8 forest friends (parents/guardians of the registered children are required to attend) and 1 educator (Matsukazedojo, Cumberland – Frank Doss). THIS PLAYSHOP IS FULL! Art Corner: We are going to explore making our own art supplies using materials available in our own backyards and gardens. Please Note: wear clothing that can get messy! Available space is for 10 forest friends (parents/guardians of the registered children are welcome to attend) and 1 educator (Harry Otter School of Nature Wizardry, Campbell River – Chelsea Holley). THIS PLAYSHOP IS FULL! How to Create a Pollinator-Friendly Space: You can make your backyard a bee sanctuary, and provide essential habitat for butterflies and hummingbirds. Did you know pollinators are best adapted to local, native plants, shrubs and trees? We’ll learn about the importance of nectar and host plants for butterflies. You’ll also find out how to lure hummingbirds and bees, too. Join me to create an important addition to your home garden—it could be a bug hotel, a bee bath or maybe native seed bombs?! We’ll also explore the area in search of butterflies, bees and the native plants they need to thrive. Bring your nets! Available space is for 30 forest friends (parents/guardians of the registered children are required to attend) and 1 educator (David Suzuki’s Queen of Green, Victoria – Lindsay Coulter). 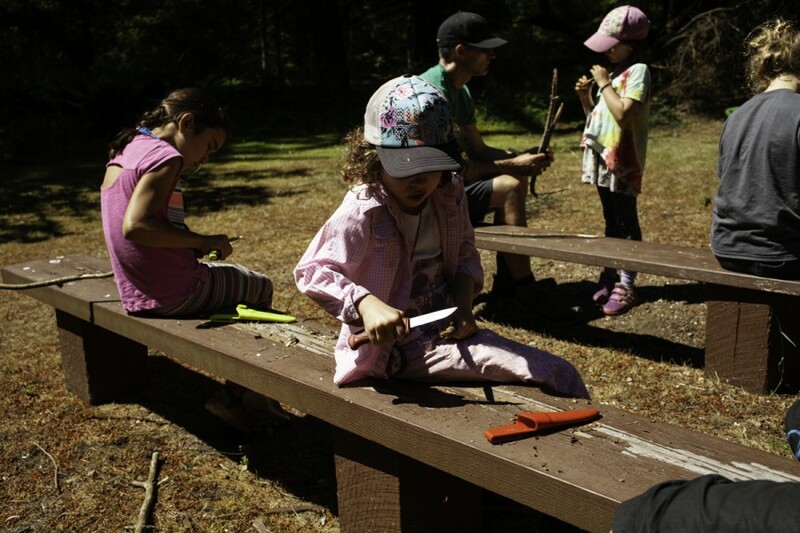 Knife Safety: This playshop will introduce participants to safe and effective use of a knife and we will learn how to use our knives for fire making. Please keep in mind that this playshop is one and a half to two (1-½ to 2) hours long, so it may end at either 12:30pm or 1pm (for those parents/guardians who are not intending to stay, please return at 12pm). Available space is for 12 forest friends who are 7 years old and older…or younger, if they are ready (parents/guardians of the registered children are required to check-in with educator) and 1 educator (WildSpirit, K’omoks territory – Bruce Carron). THIS PLAYSHOP IS FULL! Nature Jewelry: Crown yourself in the beautiful jewellery nature has to offer. Learn to make daisy chains and other fun crafts. Available space is for 10 forest friends (parents/guardians of the registered children are required to attend) and 2 educators (Highland Secondary Eco Team, Comox). THIS PLAYSHOP IS FULL! 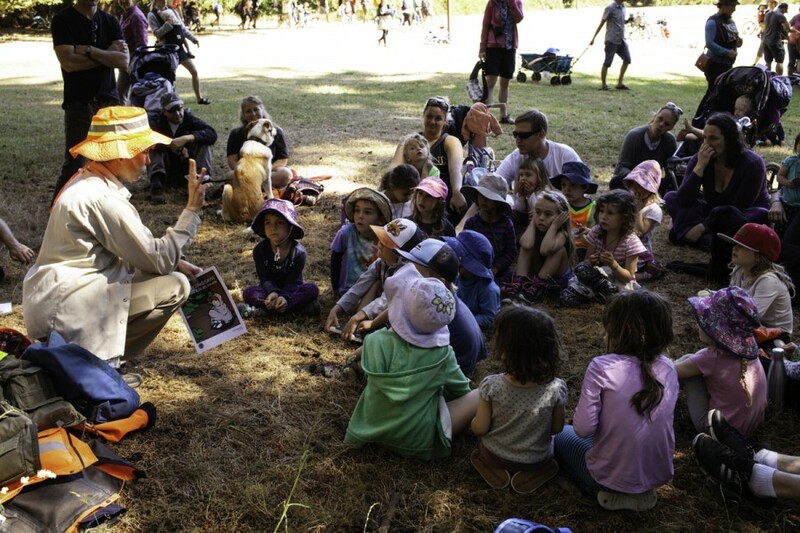 Nature Noise: There is a Zimbabwe proverb, “If you can walk you can dance, if you can talk you can sing!” This playshop is a fun way for Forest Friends to explore nature including their own voices through sounds, song & movement. Available space is for 20 forest friends (parents/guardians of the registered children are required to attend) and 1 educator (Hand-In-Hand Early Years Nature Education Program – Melanie Bagley). THIS PLAYSHOP IS FULL! Yoga in the Forest: Come and Join Imke in some Forest Yoga, learn some animal and forest poses, while having fun with movement. 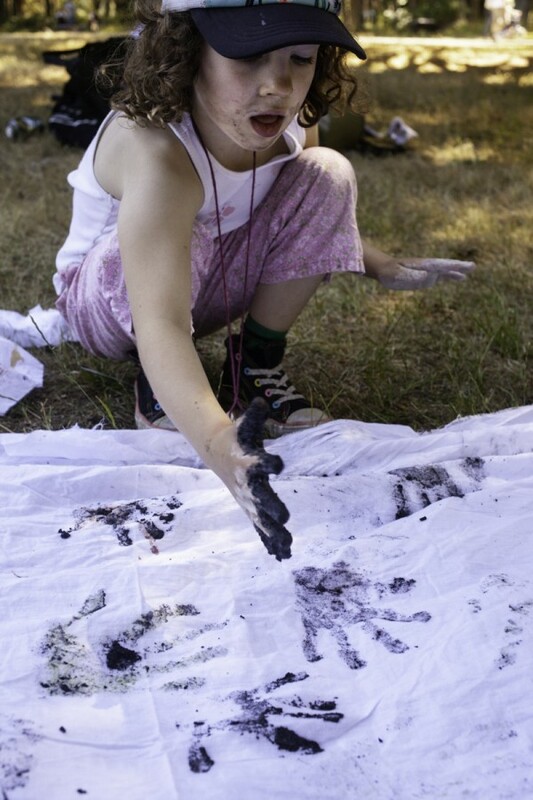 Come and be creative and enjoy yourself and feel inspired to move in the forest. 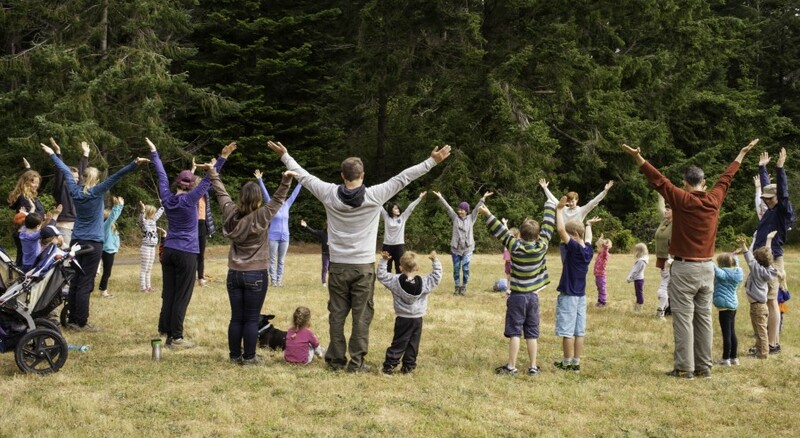 Available space is for 10 forest friends (parents/guardians of the registered children are welcome to attend) and 1 educator (Saplings Outdoor Program, West Vancouver, Lions Bay, Squamish and UBC Farm – Imke Hubner). THIS PLAYSHOP IS FULL! Art Corner: (please see details in PLAYSHOP #2) THIS PLAYSHOP IS FULL! Beginner Beading: Come and bead with me and create a ladybug keychain or pendant, flower chain necklace, bracelet or ring, lizard key chain or pendant and/or brick stitch ring or bracelet. Available space is for 10 forest friends (parents/guardians of the registered children are welcome to attend) and 1 educator (Maggie Magpie Collections, Cumberland – Theresa Lambert). THIS PLAYSHOP IS FULL! Build Your Own Adventure Playground: Come and Join Our Educators and use your imagination to create your own adventure playground. You’ll have an opportunity to build and exploring using a wide variety of green elements, natural materials, “upcycled” loose parts and tools. Available space is for 12 forest friends (parents/guardians of the registered children are welcome to attend) and 2/3 educators (Saplings Outdoor Program, West Vancouver, Lions Bay, Squamish and UBC Farm – Heather Fraser, Kat Hannah & Emerson Chan). THIS PLAYSHOP IS FULL! Creating Fire: We will explore a handful of tricks and tips to explore the life cycle of fire using materials found in our bioregion, and/or in our backpacks. 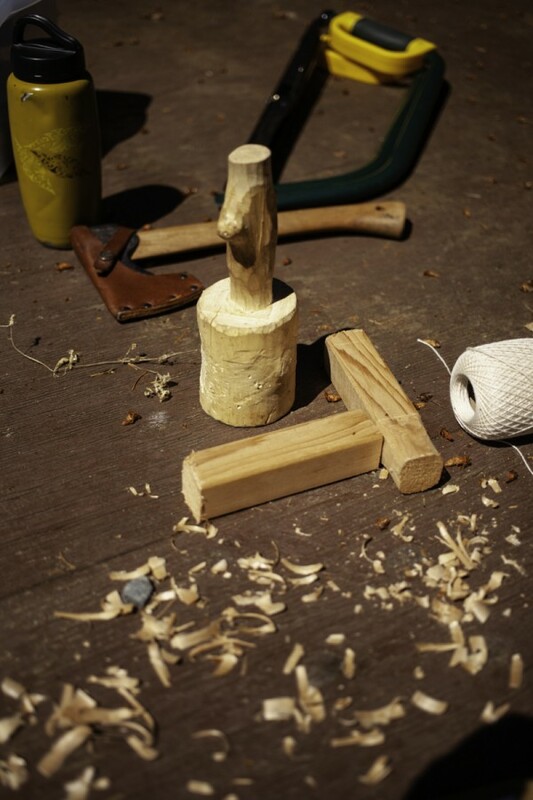 We will discover how to ignite, feed and grow a fire…rain or shine without the use of matches and lighters! 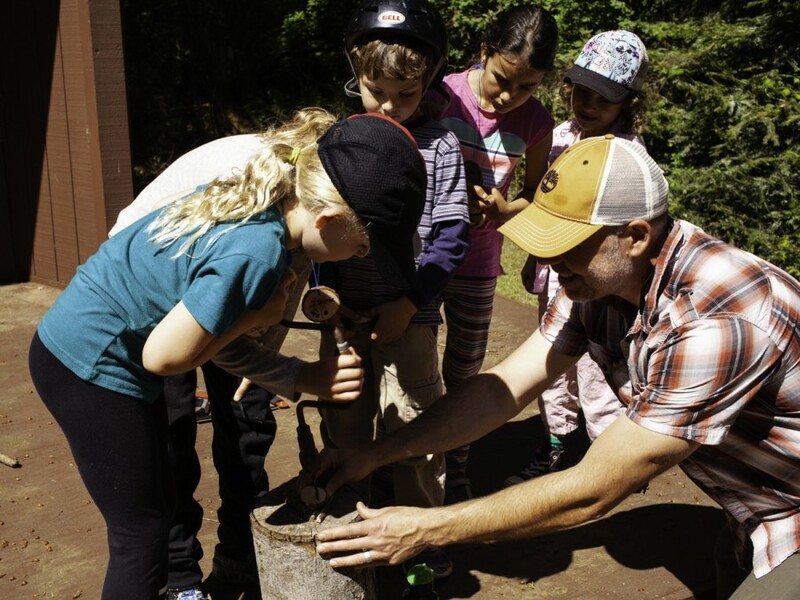 Available space is for 6 forest friends (parents/guardians of the registered children are required to attend) and 2 educators (Hand-In-Hand Early Years Nature Education Program, Comox – Serena Oliveira Oliveira and Jedi and Wilderness Survival Camp – Frank Doss). THIS PLAYSHOP IS FULL! DISCOVER OWLS: This educational presentation includes a visit from one of our glove-trained owls representing a special education ambassador in support of the program content. Once the owl is on display to the students, we interact with the students (question/answer opportunities as well as guiding to the answers if needed) to identify the very unique adaptations of owls for the life they live as a ‘raptor’. Although the bird cannot be touched, our various bio facts and props do allow for students to touch after the presentation and thus get a sense of what the bird feels like. Available space is for unlimited forest friends (parents/guardians of the registered children are required to attend) and 1 educator (North Island Wildlife Recovery Association, Errington). Fairy House: Collect various sticks, pebbles, leaves, flowers or whatever else you see fit to build your very own fairy home. Available space is for 10 forest friends (parents/guardians of the registered children are required to attend) and 2 educators (Highland Secondary Eco Team, Comox). THIS PLAYSHOP IS FULL! Birding Adventure: Embody your inner birder. We will craft our own set of binoculars and go for a walk to see what we can see. We’ll tune into our senses, listen and look for movement in the bushes to see who we can spot flitting about in the woods. Available space is for 20 forest friends (parents/guardians of the registered children are welcome to attend) and 1 educator (Tofino Nature Kids, Tofino – Heather Fleming). Mammals of the Night Sky: Learn about the best source of natural mosquito control – Bats! Come explore the weird and wonderful world of our only flying mammal through games, props, activities, and sounds. In this fun program, together we will explore some of the myths about bats, their importance, bat adaptations, and a special focus on echolocation. Available space is for 18 forest friends (parents/guardians of the registered children are welcome to attend) and 1 educator (Swan Lake Christmas Hill Nature Sanctuary, Victoria – Erika Van Dyk). Outdoor Drawing: Find a fun forest creature or plant and use your creativity to draw in an exciting new way, with charcoal. Available space is for 10 forest friends (parents/guardians of the registered children are required to attend) and 2 educators (Highland Secondary Eco Team, Comox). THIS PLAYSHOP IS FULL! Wilderness Ninja: Wilderness Ninjas use stealth, agility and awareness to survive. They live close to the land, the plants and animals. They use the signs of the forest such as bird language to track animals and even other Ninjas. Be a master of camouflage moving silently and unseen. Are you up for the challenge? 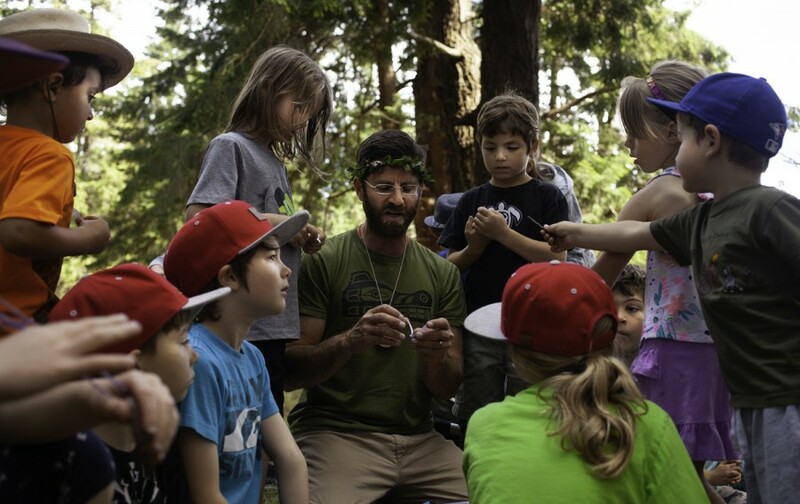 Available space is for 12 forest friends (parents/guardians of the registered children are welcome to attend) and 2 educators (Taproot Nature Connection, Tofino – Jason (Jay) Roberts and Wild Craft Play, Central Vancouver Island – Jamie Black). THIS PLAYSHOP IS FULL! Qigong Warm-Up: please see details at the top of the page. Attachment Art: Caring for the Environment means taking responsibility for our daily practice on Earth. Changing our habits by connecting with one another is a key part of healing, growing and connecting. We “attach” with our ability to sit down, listen and be present. This playshop reinforces these ideas while we gather to make a meditation ritual of our art practice replacing agitation and anxiety with a calming method of social interaction. Available space is for 6 forest friends (parents/guardians of the registered children are welcome to attend) and 1 educator (Earth Art Studio, North Vancouver – Michelle Peters). THIS PLAYSHOP IS FULL! Creating Stories in the Forest: I have always believed the most valuable part of storytelling is the connection fostered between teller and listener. Both my children love listening to stories, especially those from my own imagination! Today we are going to create our own stories from the forest. We are going to make our own story stones, and story characters using nature. Once we are done we will work together to tell a story that you can bring home and enjoy with your family! 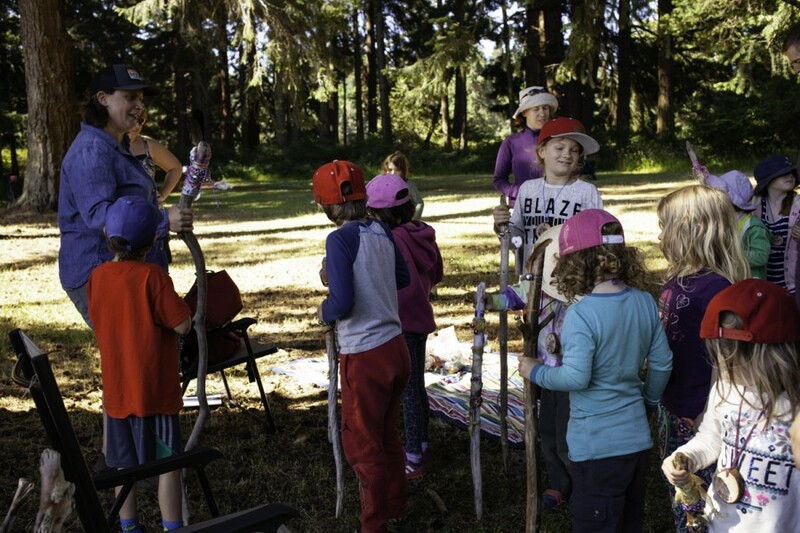 Available space is for 12 forest friends that are 6-9 years old (parents/guardians of the registered children are welcome to attend) and 1 educator (Saplings Outdoor Program, West Vancouver, Lions Bay, Squamish and UBC Farm – Heather Fraser, Mei Lin Chan & Imke Hubner). THIS PLAYSHOP IS FULL! Hidden Language Hatha Yoga: In this playshop children and their families will get to explore several poses and the meaning behind them. The playshop will begin with gentle stretches, breath work and a visualization. Together we will explore the some of the poses and what they mean. Children will learn how to move into the pose in a way that is comfortable for them and will be able to learn what the pose can teach them. Afterwards, the playhop will wind down with a relaxation and time to share their favourite pose and what they experienced. Available space is for an unlimited forest friends (parents/guardians of the registered children are required to attend) and 1 educator (Hand-In-Hand Early Years Nature Education Program, Cumberland – Clare McDonald). Nature Alter: Enter a beautiful world where leaves, pinecones and berries become captivating patterns in earth art. 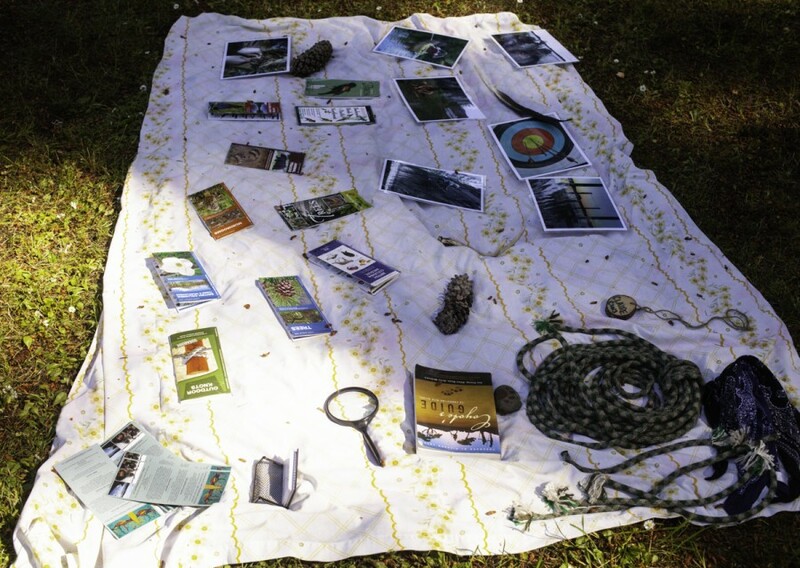 Creating Nature Alters involves placing materials from nature in a geometric design (or whatever shape feels right at that moment) and offers a playful way to express gratitude, practice mindfulness and feel connected with nature and beyond. By marking time with beauty made from our hands we can slow down the moment and find our way back into it. Available space is for 10 forest friends (parents/guardians of the registered children are required to attend) and 2 educators (Harry Otter School of Nature Wizardry, Campbell River – Chelsea Holley & Jane West). ‘The ERUTAN Way’: Whether we are ninjas, treasure-hunters, faeries or wizards, our world is the forest-gigantic, beautiful and waiting to be discovered. Come explore and create with Nature, while we play and become our spirit-selves. As we invite into our experience traditions of the elders, ancient stories, wisdom, heART and culture, it is certain we will find adventure, learn and have the most spirited fun! Available space is for 12 forest friends that are 6-9 years old (parents/guardians of the registered children are welcome to attend) and 1 educator (The Erutan Way, Merville – Kat Radford).